Today there was a press junket in London to promote The Woman in Black's coming release on DVD & Blu-ray. Dan took over IGN UK's Twitter today for half an hour for a Q&A. For all of you who missed it.. and who want to read it all back, I did my best to collect all the tweet questions and answers for you, so read that below. Tom Butler from IGN UK posted: "Me and new best mate Daniel Radcliffe, or DanRad as I insisted on calling him." Edit: Please note (and see his answer about Twitter below) that Dan himself is NOT active on Twitter, don't believe fakes! he was only using IGN's Twitter for half an hour to promote TWIB! Dan says: All the scenes with my son, he's my real-life god-son! What is your favourite go to computer game of all time? Dan says: Either Madden, or back in the day Sonic on the Megadrive! What made you decide doing a horror film just after HP? 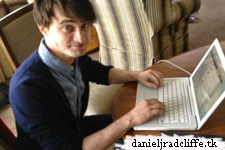 Dan says: It was the best script that I'd read & the chance to work with director James Watkins. Dan says: Being buried alive, and yellowstone volcano gives me nightmares! What would your dream movie role be? What is your favourite ghost story? Do you believe a little bit in more ghosts than you did before? Dan says: No, this film was made entirely by cynics, all non-believers! Dan, I love your taste in music! What are you listening to on your ipod these days? Sorry to ask such an immature question, but if you had to choose, would you pick Team Edward or Team Jacob? 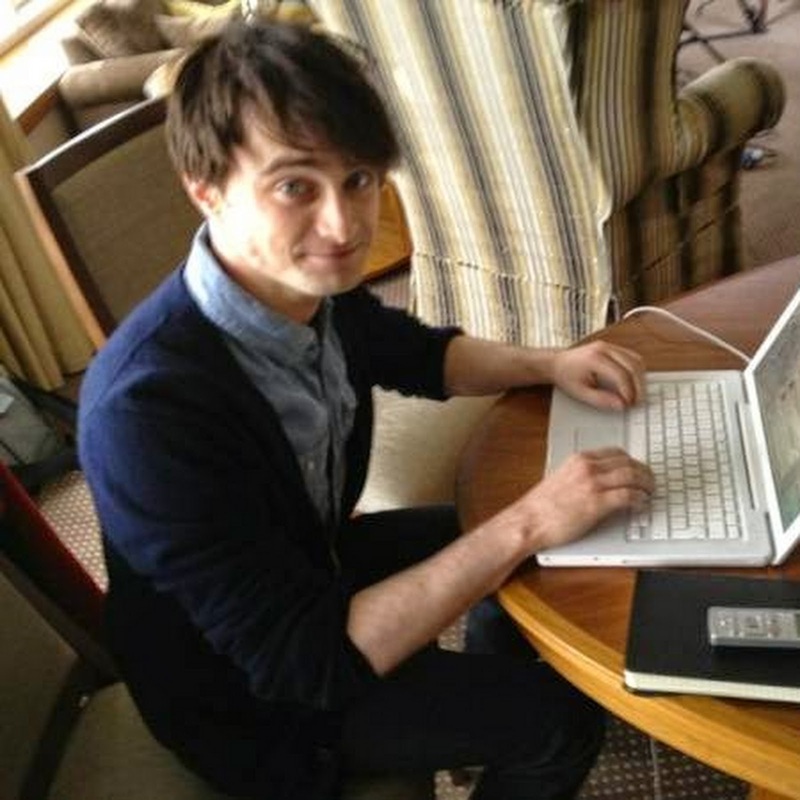 Hi Dan :) what was it about 'Kill Your Darlings' that made you want to be a part of it? 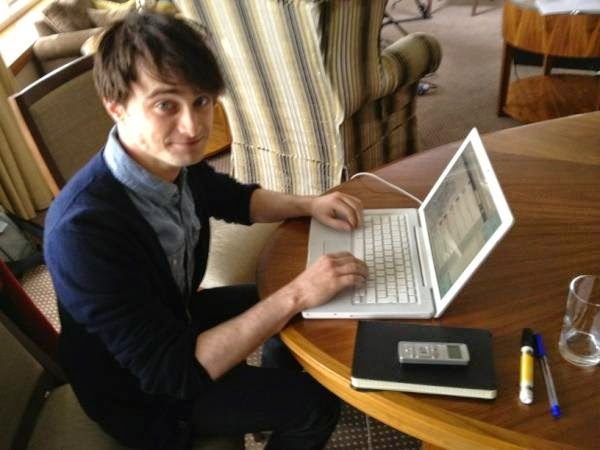 Will you ever get twitter yourself Dan? Dan says: No, probably not, I could never be concise enough! Would you like to do a musical in the west end? Dan says: Absolutely, H2S didn't come to the UK as I didn't think it would have same appeal here. But in the future..
Dan says: Slingbox, it lets me watch UK TV in America. Cricket mainly! Dan says: The Master and Margarita, by Mikhail Bulgakov. So much imagination in one book! Which superpower would you choose, invisibility or flight? Why? Dan says: Neither, super-speed like Wally West the Scarlet Speedster! Hi Dan, what movie are you most looking forward to coming out this year? Dan says: Ted the Seth McFarlane film, looks hilarious! Is there someone you really want to work with? Dan says: I hadn't seen the play, we never did that school trip! But I've vowed to see it now! Dan says: Kave Quinn's set was amazing and made it easy to act scared! Dan says: Ciaran is a complete gentlemen, I've never seen an actor make it look so easy! Who is your favourite James Bond and why? Dan says: I love Daniel Craig, but Pierce is the Bond of my youth! Hi Dan, Whats your fave TV show? If you could star in any tv show, which one would it be? Dan says: South Park, 30 Rock or Parks and Recreation. I'd love to be in 30 Rock! Are you looking forward to Prometheus? Dan says: Absolutely, I'm very excited for Prometheus! Dan says: Thinking it would funny to call 999 when I was 5. I learnt that was wrong very quickly!